Many gardeners prefer to make their own insecticide rather than buying products from the nursery or garden store. This is a guide about homemade insecticide recipes. If you have bugs in your garden, here's an easy, organic and free way to get rid of them. If you're squeamish about this, put on rubber gloves, garden gloves, or latex gloves and pluck the bugs off the plants, one species at a time, and put them in a cupful of water. You'll get used to it enough to do it bare-handed later, which is much easier. It may sound icky, but it works. Then take the water and pour it into your blender and blend until you can't see the actual critters any more. Put the water into a spray bottle and spray it on the the same plants you took the bugs from. This prompts a "danger, Will Robinson" response from that type of bug and keeps them away. Just do one kind of bug at a time, be they beetles, aphids or whatever else you encounter. 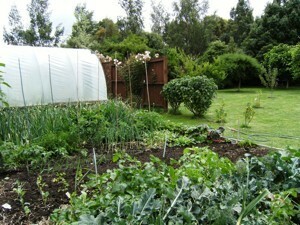 No pesticides, no traps to empty, just a lovely, bug-free garden. And don't worry about the blender. Wash it as usual and it'll be just fine. Source: I think I read this in "Organic Gardening" magazine years ago. I use soap to spray for insects in garden. Mix 1 tablespoon of liquid soap with water in a quart spray bottle from Dollar store. Spray once a week and after a rain. We all know the risks of nicotine by smoking, but the same is true for bugs by eating. 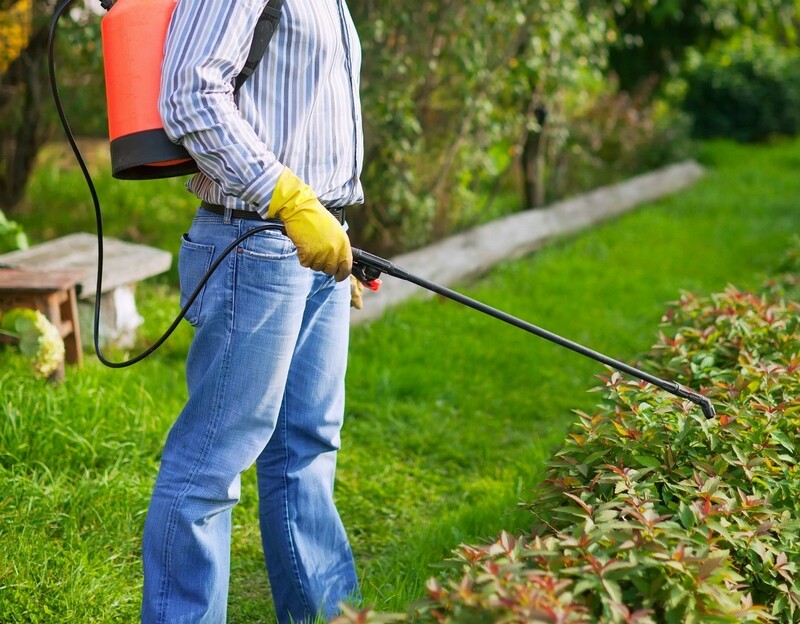 Rid your garden of pests by way of nicotine. Get a can of chewing tobacco, flavored or not color. Strain through a coffee filter. Pour into spray bottle 50/50 with water. Spray on leaves. Reapply after rain or watering, that washes the spray off the leaves. Rhubarb leaves can be used to make an effective organic insecticide (cabbage caterpillars, aphids, peach and cherry slug, etc). Boil for about 15 or 20 minutes. Strain the liquid into container. Dissolve some soap flakes in this liquid and use it to spray against aphids. Special Note: Do not eat leaves, they are poisonous. To help keep the worms and leaf eating bugs off your garden plants use jalapeno peppers, boil and strain, put the pepper "broth" in about a gallon of warm water and spray plants, this is a very safe bug repellent. Use about 6-8 peppers to a quart of water. Q: My husband would like a recipe for making his own bug killer to use on tomatoes, potatoes and hostas. He would like a spray on pesticide if there is one available. Thank you so much. Mix these ingredients in a 20-gallon hose end sprayer, filling the rest of the sprayer with water, and spray your plants. You can also reduce these measurements down to proportions that suit a hand held spray bottle. Slugs and snails love hosta, but they detest crossing sharp surfaces because it causes them injury. Prevent them from climbing up hosta plants by sprinkling eggshells or diatomaeous earth around the base. Round sandpaper disks also work well for this purpose. Cut a slit in used disks and wrap them around stems. Put 3 chopped onions, 4 chopped garlic cloves and 2 tablespoons of cayenne pepper and half a litre of water in a liquidizing blender. Whirl at high speed until thoroughly blended and liquid. Dissolve 1 tablespoon of pure soap in half a litre of water and mix the two liquids together. Store in a tightly sealed glass bottle, label and keep out of the reach of children. This is particularly effective against scale, thrips, mites and aphids. awesome site a recipe for everything! This will dislodge or smother aphids, thrips and mites. Mix and put into plastic spray jar. Spray onto plants. I can't remember where I got these but I hope they help! Dissolve soap flakes in water and apply directly to infested areas every 5-7 days. Note: Too much soap can cause burning on plants. Pests affected: aphids, spider mites, and whiteflies. Soak garlic in mineral oil for 24 hours. Strain garlic out and add 600 ml water and 1 tsp. liquid dish soap. Mix thoroughly. Spray plants with this solution. Dissolve baking soda in 1 litre of warm water. Add soap flakes to help solution cling to leaves. Remove infected leaves from plant, then spray top and bottom of remaining leaf surfaces to control spread of the disease. Unpetroleum Jelly liberally over both sides of the card. Place the card just above the plant canopy. Pests controlled:Flying pests, such as fungus gnats, and whiteflies. Well, I read all of these and made my own, which, I will now use for life. I took just rosemary, not even fresh, just dry rosemary from your cabinet, I ground it up, then, I took equal amounts of mouth wash & water, then, I added 2 cap fulls of baby oil, put all into ingredients a spray bottle, shake it up and the more it sits, the more the aroma of the rosemary is stronger so it works better each time you use it. Does anyone know the recipe for homemade bug repellant for tomatoes? I once saw a recipe with dish soap and water but i don't remember the amount to use. The recipe is 1 cup of each. Dishwashing liquid, ammonia, listerine, and epsons salts. I hope this helps! It works wonders for me. Is the recipe safe for cherry tomatoes and safe to humans or do I have to wash before eat. Editor's Note: I would always wash before eating but the spray should be safe compared to insecticides. How do you make homemade insecticide? My grandson is trying to earn a gardening badge for Boy Scouts and is having a problem with roly poly bugs eating the tomatoes. He does not want to use a commercial product, but prefers to use something less harmful to the environment. Your help would be greatly appreciated! For managing leaf-chewing pests, mix up mashed chili peppers, chopped onion and a head of minced garlic. Allow to steep in water for 24 hours before straining and spraying tomato plants. To curb attacks from tomato hornworms and other leaf cutters, make a mash of marigold leaves and flowers, and soak in water for 24 hours. Strain the solids, and add another 1.5 quarts of water plus a pinch of liquid castille soap before spraying. For problems with beetles, caterpillars, whitefly and any soft-bodied insect pest, use a mix of water, cayenne peppers and chopped horseradish root. How much borax do you add to a quart squirt bottle of water to use for insecticide? Anybody know? Thanks! First question would be why use borax to begin with, though considered low toxic it is still a number of times more toxic than anything else you or an exterminator would use for insect control. It is a slow acting stomach poison, so it would take time to get the job done if you are fighting a current insect infestation. The borates can be effective by lightly dusting out of the way places of the home, but mainly as a preventative. I am looking for insecticide recipes. 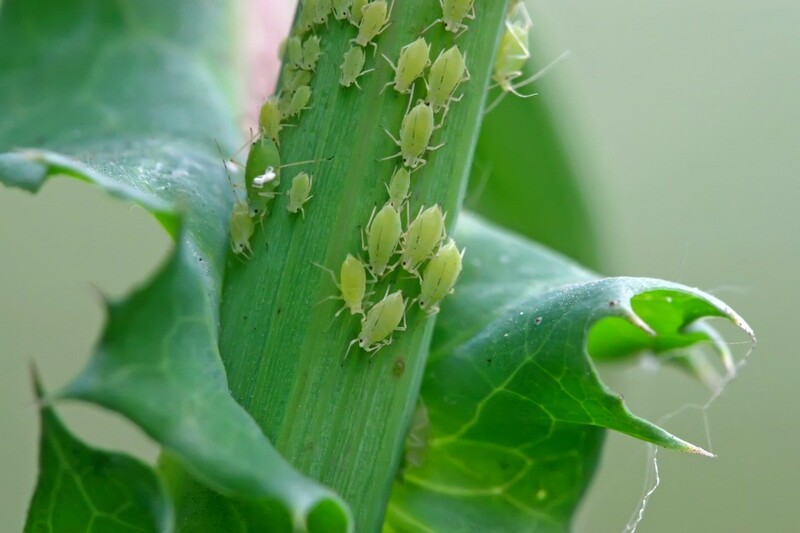 Aphids thrive in temperate regions and feast on plants. They are one of the most pesky and destructive pests that gardeners have to deal with. This page contains homemade aphid spray recipes. Mix a capful of ammonia in a gallon of water then put into a spray bottle. This will kill the bugs on your rose bushes and make the roses bloom more healthily.